The Uniform Shop sells all items of new uniform and second-hand uniform items. It is located on the ground floor at the eastern end of Clare Wing. 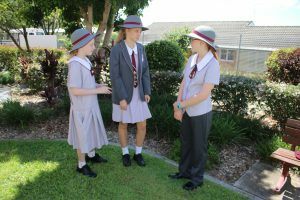 Mount Alvernia College uses ethical sourcing for its uniform products. Uniforms that students are no longer using may be sold back to the Uniform Shop for re-sale. Clothing items must be part of the uniform, in good condition, and freshly laundered (blazers must be dry cleaned). The Mount Alvernia College Alumnae Group is pleased to announce the introduction of a Uniform Bursary. 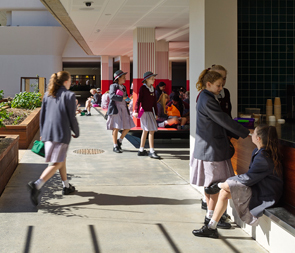 The Bursary is designed to assist past Mount Alvernia student/s with daughter/s entering Year 7 to ease the financial burden of purchasing essential uniform items to those families who may be experiencing financial difficulties. Funding is also available to assist current daughter/s of past Mount Alvernia students with essential uniform items. Under the terms of the Bursary and dependent on the funds available, the Alumnae Group will pay for the essential uniform items for a number of selected students each school year. No information concerning the name or circumstances of the recipient(s) or family will be communicated to the Parents & Friends Support Network or College staff. An application form and eligibility criteria can be downloaded below. When completed, these are to be returned, sealed and marked ‘CONFIDENTIAL’, to Dr Kerrie Tuite or Mrs Paulette Corkery who, along with an Alumnae Group representative, are the sole judges of the Bursary applications.